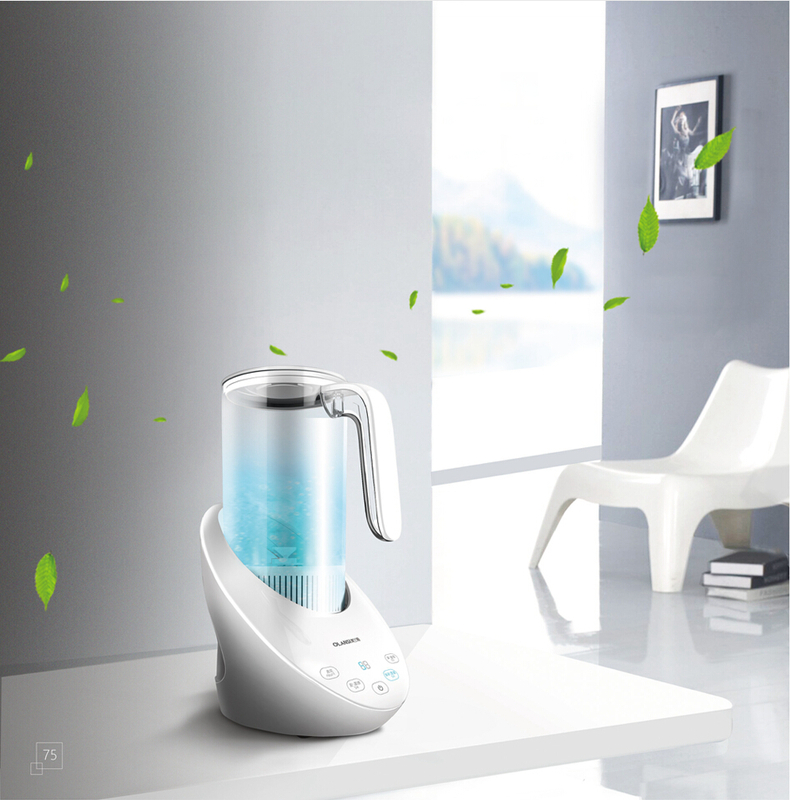 Home > Is hydrogen-rich water good for you?And what is the benefits of hydrogen water machine? Olansi Healthcare Co., Ltd is a professional hydrogen water maker,hydrogen water bottle,hydrogen water machine and hydrogen water generator manufacturer from china. All of our these equipments are good to produce hydrogen-rich water. As the term suggests, “hydrogen-rich water” is water that goes through an electric or chemical reaction, significantly increasing the concentration of hydrogen molecules. The health benefits of hydrogen were first explored several decades ago.Hydrogen-rich water was first tested in 2004 in Japan. The first human study of hydrogen-rich water took place in 2008. As science and public acceptance go, it’ll probably be another 5-10 years before the term “hydrogen-rich water” is known by much of the public. Hydrogen-rich water has been shown to be as effective in delivering hydrogen to the body, as the inhalation of hydrogen gas, which is reserved for a clinical setting, since the hydrogen tanks are flammable. Hydrogen gas (H2) is the smallest molecule in the universe, about half the size of oxygen. This gives it a higher cellular bioavailability above any other supplement, drug or nutraceutical. Hydrogen can rapidly diffuse deep into all the cells and mitochondria, as well as easily pass through the blood brain barrier. We are talking about hydrogen that is not bound to any other compound, but is free and available. Water has bound hydrogen that is connected to oxygen (H2O or H-O-H). Available hydrogen is hydrogen gas (H2 or H-H), which can be dissolved into the water in its gaseous form. Drinking water that has been enriched with atomic hydrogen daily is an ideal health regimen. It is a habit that most people can afford and it is definitely one of the top five health habits that we recommend to everyone! A person who doesn’t drink hydrogen rich water doesn’t understand the nature (which nature is based on redox reactions) of his or her own being and/or does not understand the opportunity that atomic hydrogen provides in terms of maximizing health and longevity. The truth is that out of simple daily habits grow those successes that are truly great — including enjoying vibrant health. And, that’s what drinking hydrogen enriched water is — a small and simple daily habit. The reason that we single out the importance of drinking hydrogen rich water is that when one drinks water that has been enriched with hydrogen, those hydrogen atoms enter the body and almost instantly spread out throughout the body where they extinguish free radicals (through REDOX reactions), slowing down aging and disease processes. We reiterate that In terms of health habits, the habit of drinking hydrogen rich water is one of the most important habit for people who intend to live long and healthy. Please review this website, until you understand how and why you need to establish the hydrogen habit in your life. 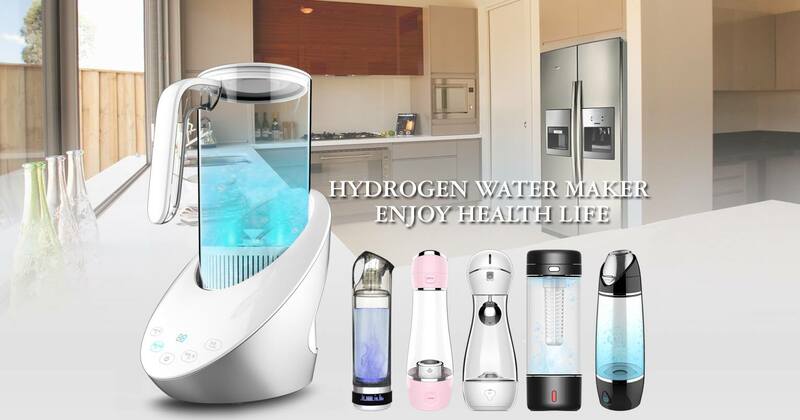 Because of so many benefits of drinking hydrogen-rich water,we honestly suggest you to buy a hydrogen water machine for your family and buy a hydrogen water bottle for yourself.